Food and Behavior. Are they connected? Watch this and See. Home / Health Concerns / Digestive Issues / Think Food Doesn’t Affect Behavior? You’ve Got to Read This. 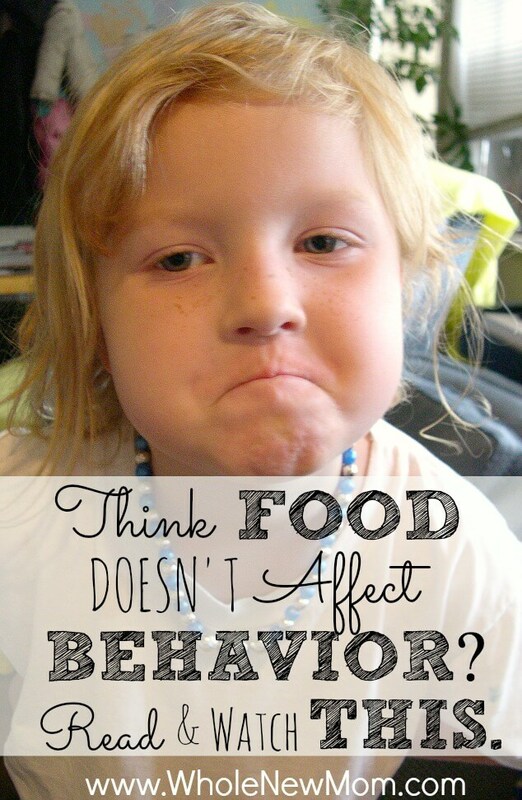 Think Food Doesn’t Affect Behavior? You’ve Got to Read This. Are food and behavior connected? Some say that's nonsense, that food has nothing to do with behavior. Others say that there is a clear connectiong. What does the evidence show? Food and behavior is a big topic these days. Folks are talking about gluten-free diets, paleo diets, candida diets, and more. Does it all matter? Does food affect things like autism, ADD, ADHD and just plain old defiance? It’s common to joke about kids being on a sugar high after a party, so all of us know –on some level–that food influences how kids behave. But how many of us realize the extent to which our children’s day-to-day actions are shaped and molded by the foods we feed them? An experiment on the effects of food on behavior done by the British TV series, The Food Hospital, produced shocking results. Party food loaded with sugar, artificial coloring, and other additives has the power to turn your lovely, cooperative child into a badly behaved, physically aggressive youngster. Before we get to the study, let's talk about some of the WORST things that you (and your kids) can eat. More and more evidence is pointing to artificial food dyes as a major cause of ADHD in children. While this hasn’t been proven beyond a shadow of a doubt, the facts are strong enough to convince many European countries to ban blue 1 (brilliant blue), blue 2 (indigo carmine), yellow 5 (tartrazine), and yellow 6 (sunset yellow) among others. These food colors have FDA approval and are found in cereal, candy, and a variety of colorful foods popular with children. There is a shocking amount of sugar in processed foods – and some of it is lurking in places you wouldn’t suspect. One 12 oz. can of coke has 9 ½ teaspoons of sugar. The same amount of Tropicana Farmstand Juice has 9 teaspoons. There’s also lots of sugar in flavored yogurts and chocolate milk – not so surprising. But did you know that there is often sugar in savory foods, such as ketchup, bread, sausages, and barbeque sauce? Your child can consume a considerable amount of sugar even before you let him or her eat candy, and high sugar levels contribute to hyperactivity. Sodium benzoate is a preservative found in carbonated beverages and fruit juices, condiments, candies and many other products. It has been implicated either separately or together with artificial colorings for causing or aggravating ADHD symptoms, and is best avoided. It has also been noted that sodium benzoate reacts with citric acid to make benzene. 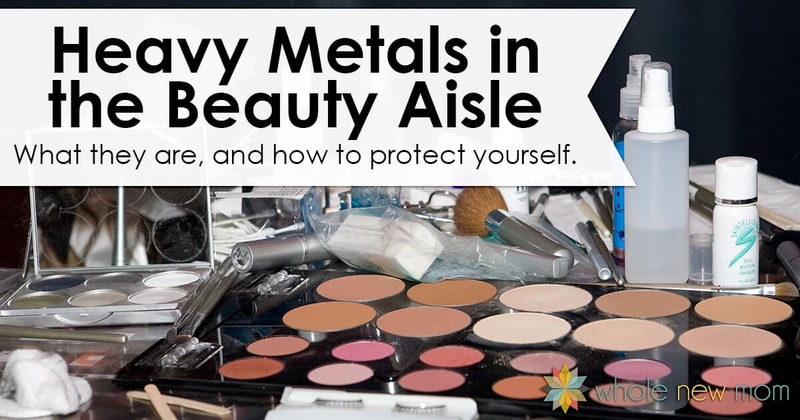 So be very very careful with any foods or personal care products that have both ingredients together! A real-food, nutrient-dense paleo diet – which excludes these three substance as well as anything likely to affect behavior – seems to me the best way to ensure your kids get the right nutrition. You may think that these problems don’t affect you since your child doesn’t suffer from serious behavioral problems or learning disabilities. Remember, the children in the video were just a regular group of school kids–not children selected because they didn’t behave well. The impact on them was profound, so clearly, this is a concern for every parent. Let’s do all we can to set our kids up for success. Children in Britain aged 5 – 9 attended a party. Group One: was fed healthy options such as apple slices, carrot sticks, sandwiches, hummus, etc. and was given water to drink. Group Two: received the usual party fair: candy, potato chips, and soda (or as they say in the UK, sweets, crisps, and fizzy pop), all containing loads of sugar, artificial coloring, and other additives. The children’s ability to follow instruction, concentrate, and remember information was then measured as they played party games, and their actions were carefully recorded. You may be surprised by what they found. It wasn’t only how they behaved that was remarkably different. The healthy food group did “48% better in the games overall” – that’s a huge improvement in performance. Are We Setting Our Kids (and Ourselves) Up for Failure? After watching the segments that you can see below, I couldn’t help think that many kids are inadvertently being set up for failure by their own parents. Moms and Dads certainly intend to do the best for their children, and part of this can mean feeding them “regular food” that won’t set their children apart from their friends. But in doing so, our children are being sabotaged in ways that make it difficult for them to perform school tasks successfully. They’re fed processed foods that can make them aggressive and difficult to control. Then, as if that weren’t bad enough, they’re penalized for their inability to learn and their out-of-control behavior. We all know that a child who is constantly hitting other children, having tantrums, and running around wildly is a child who is continually reprimanded. We also all know a child who doesn’t follow teachers’ instructions, can’t remember what he or she was taught yesterday, or can’t concentrate long enough to finish a task receives poor grades and negative feedback. No parent wants this for his or her child. Tragically, in the worst cases, kids who are simply reacting to what they are being fed end up taking unnecessary prescription drugs or are sent to special schools. How do we feed children to prepare them succeed in school and get along in society? Generally speaking, the more natural a food is, the less likely it is to cause a severe behavioral reaction. Keep in mind that there are plenty of individual differences in how children react to specific foods and additives. One family might discover that avoiding a certain additive transforms their child into a little angel, while in another family cutting out wheat may do wonders. That said, watch out in particular for the Three Substances I list below, which are often linked with behavioral problems. Watch the following video to see what happened to these two groups of kids — and be thinking about how we might be setting our kids up for either failure or success, based on what we are feeding them. 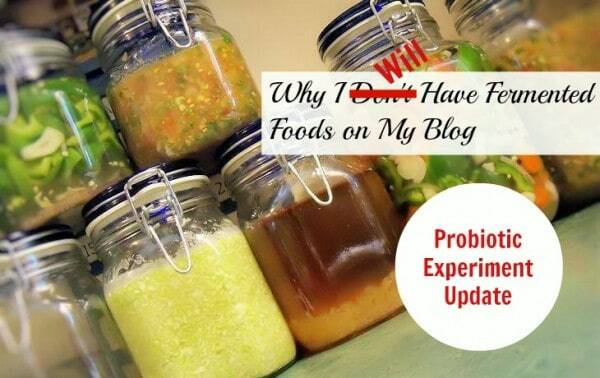 After the initial publication of this post, the videos of the experiment were removed from The Food Hospital's website. Thanks to a very helpful reader, we now have much of the series back to watch. The segments start at the beginning of this video. Though they are not there in their entirety, much of it is still there so you can see quite a bit of what ensued. You will see the results of the experiment–how the kids behave and learn after eating their meals. Watch as parents and a psychologist evaluate behavior during play and learning tasks. See how the coordinators divided up the groups, what they ate, and how things started to play out. This is very interesting! Those who ran the study say that they don’t know what it is in the party food that affects the children. Is it the sugar? The artificial coloring? Maybe the lack of essential nutrients? It’s not clear. I suspect it’s a combination, with individual children being more affected by different things. What is clear is that children not only behave better but concentrate better, follow instructions better, and remember more when they eat healthier food. Let’s not forget that concentration, following instructions, and memory are fundamental building blocks of the learning process and vital for success at school. (UPDATE: Think the evidence isn't compelling enough? This post may contain affiliate links from which I will earn a commission. Have you noticed (or do you suspect) foods affect behavior in your house? Ruth is a big fan of the paleo diet, having regained her health after decades of living with chronic fatigue syndrome. 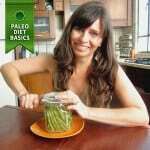 Ruth blogs at Paleo Diet Basics. 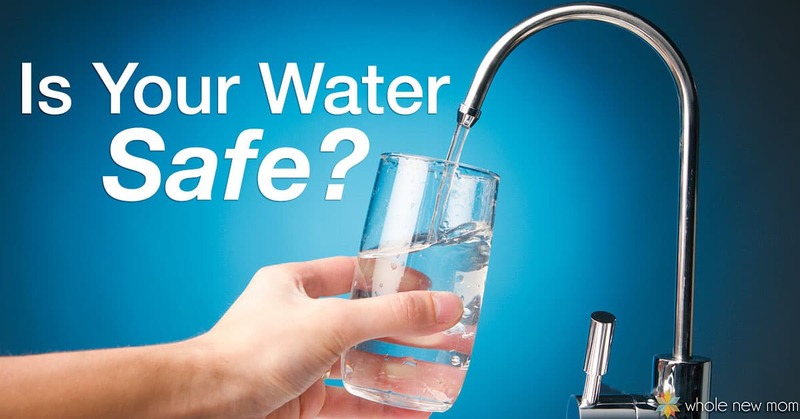 Is Your Water Safe? …..a.k.a. Is There Prozac In Your Drinking Water? I believe there is a direct correlation in the food we eat and our behavior. My now 10 year old son is on a strict no red dye diet. When he was in preschool and kindergarten he was excused from school due to uncontrollable angry outbursts. He at the time was also having issues with his bowels being blocked. After removing all gluten, dairy, sugar and dyes from his diet he behaved much better. We then began reintroducing each one back into his diet one at a time. We figured out he was dairy sensitive and gluten sensitive which was causing his bowel issues. But we also figured out by trials of various products with red dye and yellow dye that it affected his behaviour literally within seemingly seconds. Dr. Jekyll and Mr. Hyde like changes. My one minute happy child would turn into the Incredible Hulk. To this day he still does not do well with red dye. Yellow does not seem to affect him as much aggressively. Though we still limit it because it does seem to make him more hyperactive. He seems to take it all in stride understanding it’s just better for him to not have certain foods in his diet for his health and well being. Although it is pretty tough when you’re the only kid who can’t have Skittles and m-n-ms in the class. I have found many good alternative products out there to buy that are dye free and tasty too. We also hold him accountable for his behaviour if he decides to cheat and have something with the dyes and becomes angry or hyperactive. I believe too often parents over compensate by allowing the excuse of their child being intollerent to the dye and thus not disciplining or giving the child consequences for the behavior. Our children still need to be taught that aggressive angry behaviour is still very much unacceptable behaviour. Good for you for digging for the root cause and for being vigilant with your child. We need to share with the world that this “non food” is poison! Thank you very much for sharing this info and providing the video. It provides compelling reason to rethink our children’s diet and not give in to convenience. Hi Andrea – thanks for commenting. I have heard about this–with reactions varying by person. Not sure I’m ready to tackle it as a topic right now but perhaps down the road. So sorry that I didn’t respond sooner–I lost comments off the blog for awhile and just recently got them back. Thanks again for reading! Thank you posting this. My goal is to educate parents about diet as part of a holistic solution to behavior, learning and motor skill challenges. I also teach them how to integrate primitive reflexes. So intentional movement to create new neural commendations and mature the brain in combination with diet are very powerful. I’m going to link this page on my website because the party experiment and puts it in real terms for parents. Keep up the good work! One family and one child at a time! I am raising 7 year old twins a boy and girl. I have been reading these post. How to I create a diet of healthy food and vitamins. I am currently utilizing ABA/ Speech and behavior counseling. I honestly do not see a great deal of change. At this point I am desperate. I even took him to a herbalist, she told me he needs to become one with nature and run bare feet and hug a tree. Then she gave me oils to rub on his feet. Honestly I left bewildered. Hello there. Diet is huge w/these kids. 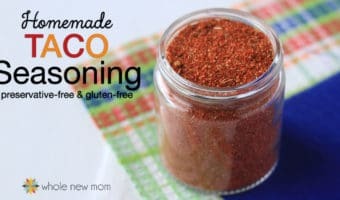 The most popular thing to do is remove gluten and dairy but for our child, removing sugar and high carb / refined foods was the biggest thing and then after that was gluten and then the oil that I mention in this post. I am sorry you have had a tough time. Happy to help as much as I can. This isn’t medical advice. 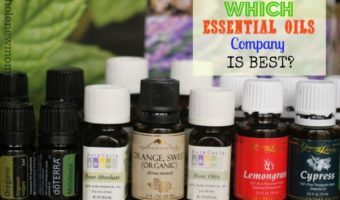 https://wholenewmom.com/health-concerns/cbd-experience/ Hope this is of some encouragement to you.